Are you searching for an honest commercial roofing contractor? Empire Contractors is the top choice for people in Grand Rapids, MI. We offer a number of reasonably-priced services that will help you save time and money on your roof. At Empire Contractors, we can give you a no-obligation estimate for you to think over. All you have to do is call us at (231) 578-4760 to find out more. If you don’t schedule roof inspections regularly, chances are your roof (and wallet) will suffer. Empire Contractors is a company that you can rely on to inspect your roof as the years go by. This will ensure that no major problems are developing since our team of skilled and vigilant roofers will spot potential problems and stop them in their tracks with effective repairs and maintenance. If you’re reading this, it’s likely because your roof is in need of some type of service. While you should never rush into hiring the wrong contractor, it’s best to get your roof’s issues dealt with as soon as possible. The last thing you want is for the damage to spread as this could lead to more costly and complicated services. The roofers are Empire Contractors have all been thoroughly trained to provide nothing less than high-quality roofing services. Our guys are properly insured and licensed to protect our clients if any accidents were to occur on the job. We truly care about the work that we put in! Lack of communication is not something that you’ll have to deal with when you work with us. We recognize that client-to-contractor communication is key to avoiding misunderstandings. With the top roofers around along with our professional customer service, Empire Contractors is always a solid choice. 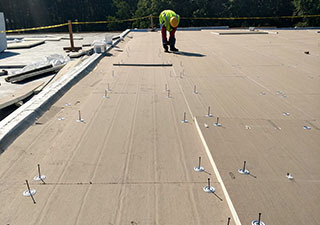 Clients in Grand Rapids, MI looking for a reliable commercial roofing contractor are in luck. Empire Contractors covers your area and more! 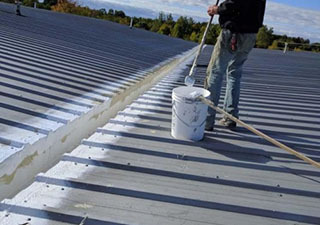 Hire us for any type of commercial roofing service and we promise to set you up with a roof that will last. To schedule a day for us to come by and give your roof a free evaluation, give us a call at (231) 578-4760.